Being a breast cancer advocate became my calling. Soon after my diagnosis in 2010, I knew that this was God’s blessing for my life. Never in a million years did I think my advocacy would go so far beyond breast cancer and autoimmunity and reach so many people. 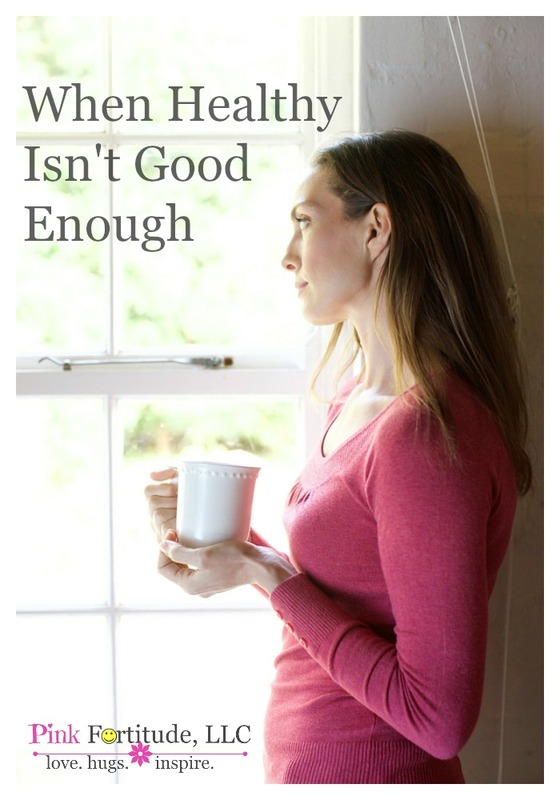 Whether you have been a follower here for a while, or are visiting for the first time, I want to put it ALL out there and share my story, because sometimes, healthy isn’t good enough. I know there is someone who will read this and know this message is meant for you. I want you to know that you are not alone. For those of you who don’t know the entire story, here is a quick recap. In my 20’s and 30’s I used to live a healthy lifestyle. I ate mostly nutritious foods and enjoyed treats in moderation. I exercised. 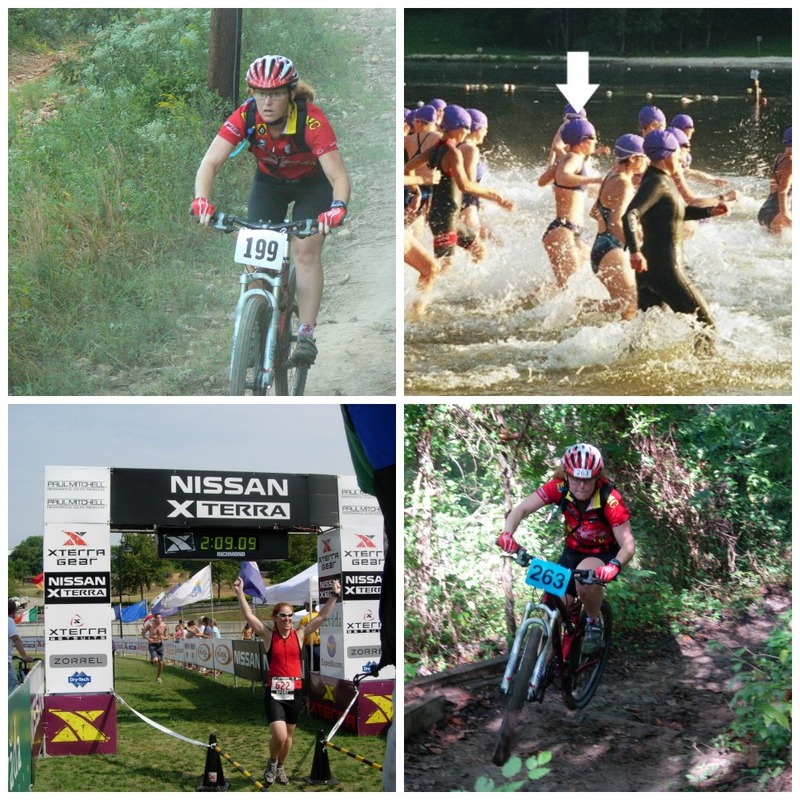 I raced mountain bikes and was an XTerra competitor. I ran, I swam, I rock climbed, I took boxing lessons. I was strong and physically fit. I was a healthy weight and a petite size 0-2. I didn’t smoke, and my alcohol consumption was limited to a few drinks when I was out with friends. Then Cancer Happened. 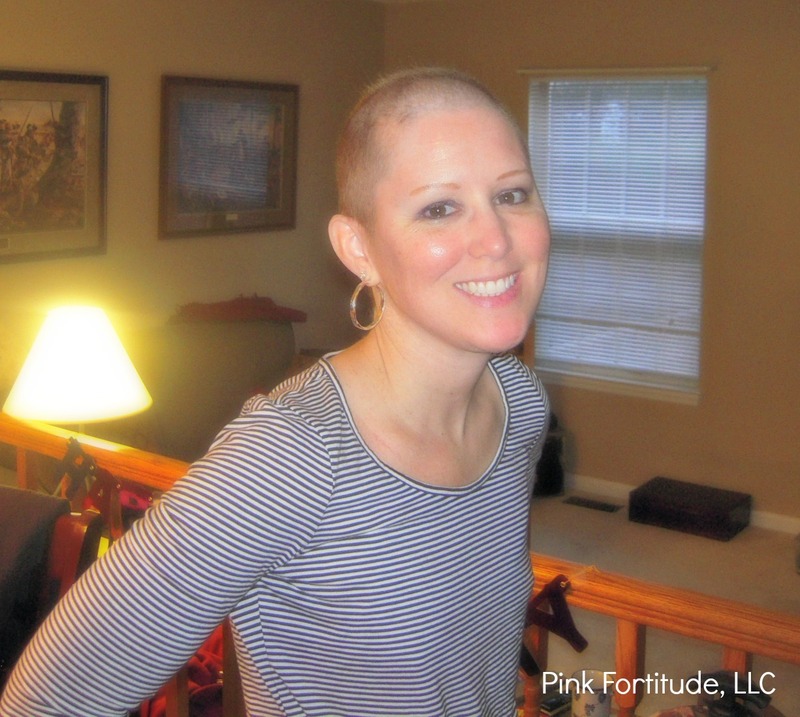 In 2010, I was diagnosed with breast cancer on my 39th birthday. No warning, no family history. I was a young and healthy woman. According to my doctor, “lightning hit.” I went through surgery, chemo, and radiation. One year after treatment ended, my health was worse than it was during treatment. Routine blood tests came back “normal” and my doctors encouraged me that all of the changes (chemo, menopause, Tamoxifen, etc) would take a toll on my body and take time to recover. One year after treatment ended, and after way too many blood tests, I was finally diagnosed with Hashimoto’s, an autoimmune thyroid disorder, where your body attacks itself. It was a one-two gut punch to my health. I was disappointed that my doctors didn’t catch it sooner. My mother has Addison’s Disease, plus blood work came back that at one point I had mono (aka Epstein Barr Virus or EBV), which I never knew (and can be a cause/predisposition). Between those two clues, having gone through chemo with the stress on my body, plus all of my symptoms, all signs pointed to Hashis. I started yet one more protocol of meds. But even after diagnosis, I still never recovered. Five years after cancer treatment ended, I was still sick. Every. Single. Day. My Endo kept tweaking my meds, but nothing was working. I woke up so tired, I felt like I hadn’t slept in several days. The fatigue was so bad it was painful. It literally hurt to stay awake. The migraines would be so bad, I could barely see. The brain fog was so bad I felt like I was on a different planet. My stomach was in a constant state of nausea and there were days that it was normal to take four to five trips to the bathroom to launch a space shuttle. I gave up. Not because I’m a quitter, but because I thought that with everything I went through over the past few years that this was my lot in life. I live a healthy lifestyle. I eat healthy – lots of fruits and veggies, no red meat, limited sugar so it couldn’t possibly be my diet. I even worked with a nutritionist who is known for her work with these types of conditions. Walking was the only exercise that I had the energy to do any more, and even that was difficult. It was frustrating to wake up every day and not feel better. But there was a peace about acceptance because I have a life that I want to live. This must be how I have to feel after everything I went through. I hate it, yes. But I’m tired of fighting my health. I have a full-time job, a home and family to take care of, two businesses to manage, and rental properties. So I stopped complaining and tried to ignore how bad I felt and lived life the best I could. Going through cancer treatment brings people to have a lot of empathy for you. People go out of their way to be kind to cancer patients, especially when you are bald from chemo. Being diagnosed with an autoimmune disorder is isolating. No one cares. No one understands. Still being sick after your AI diagnosis – there is nothing worse. The perception is that you are always tired, faking it, lazy, depressed and making excuses. The reality is that you are sick. And alone. And frustrated. And scared. Then I started reading books on root cause healing. I couldn’t get enough and I couldn’t put them down. I read one book a week. I wanted to digest as much knowledge and become my own health hacker and my best advocate. Through the years of failing health, frustration, and tests that came back “normal,” I learned to become my own health advocate. I read until I couldn’t read anymore. I listened to as many podcasts on health as I could. I even enrolled in a program and became a Certified Natural Health Professional. I learned that no one is going to fight as hard for my health as I can. I fired my endocrinologist and began seeing a functional practitioner. I later fired that functional practitioner when she plateaued with my progress and found a new health team. I now question everything. I get second opinions. I listen to my body. And I don’t give up. Even while my health was failing, I worked a full-time job, took care of my family, and also wanted to ensure that Pink Fortitude would be a place of inspiration, education, and healing. My Stepson is a teenager. My parents live two hours away, and my Mother has health issues. My in-laws live across town and they are in their 80’s. Despite it all, I wake up every single day, trying to heal. Because I love these people and I want to be present for them as much as possible. I realized how many people have autoimmune diseases, and how isolating they can be. You have all of these crazy mystery symptoms – fatigue, headaches, weight gain, brain fog, depression, etc – and you think you are going crazy. You wake up every day and pray that you have the strength to make it through the day. No one understands why you need a nap after taking a shower and eating breakfast. No one understands the fear of living each day without knowing how cooperative your body is going to be. I realized how many people are either going through cancer treatment, dealing with the aftermath of cancer treatment, or want to live a healthy lifestyle to prevent cancer and other diseases. We all have our struggles, our trials, and our crosses to bear. Whether it’s health-related, or financial or family burdens, or any other host of trials. I want Pink Fortitude to be a place for you to be educated, inspired, and loved. You are not alone. I’m here for you. I’m a million times better, but I’m still struggling to find my optimal health and figure it all out. YOU are in control of your health. Your diet and your environment are going to play a prominent role in your healing. You are going to have to make some hard decisions if you want to heal. I’m here to share information and resources to empower you to make those decisions based on what is best for you and your health. Because even though this is a scary place to be, you aren’t alone. Together, let’s take this journey to better health… hand in hand. Love, hugs, and praying this message reaches you, my friend. I am so glad that you shared this story. It is almost my story, too. I have found so much great information on your site and I know the seminar will be full of even more great information. I can’t wait to read and hear more. You are an inspiration and I do thank you for sharing this story. I don’t feel crazy and alone any longer. Love you girl! 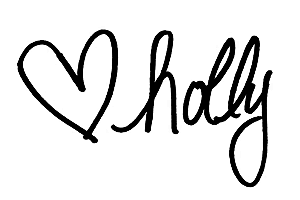 Thank you for sharing your story Holly! Cancer stinks. Thanks for linking up to Merry Monday! Sharing on Twitter & FB this week! Have a great week! Holly, I just came from The Morning Cup of Joe Party where I saw your feature. I don’t know what to say other than send you cyber hugs and tell you that I think you’re amazing with all you accomplish while battling this. Kudos to you for lending your voice at the summit and I have no doubt you will touch the lives of many. P.S. My son is an avid off-road mountain bike cyclist (his career stems around the sport) so I know the endurance required to compete. Thank you so much for sharing this. I’ve suffered from severe anxiety and depression for 3 years since I had my first child. 6 months ago I started waking up feeling nausea, fatigue like you describe and the most horrible headaches that nothing took away. I was so sick and tired I literally could not eat. I am a stay at home mom who has a 2 year old and 15 month old so couldn’t even rest like I want. Thank God I seemed to have found that the problem is Celiacs disease and if I follow a strict gluten free diet I can feel like a normal person most of the time. It’s nice to not feel alone when I read these stories though thank you.